Same Eric Lawyer speech with added material. "My son is a firefighter and so was my brother who passed away from an illness 3 years ago so this tribute has a special meaning for me and the FDNY asks that we never forget those firefighters who lost their lives on 9/11. Firefighters are a special band of 'Brothers' and when my brother passed away they (Desoto County Firefighters) 'carried him home'. Blog Contributor Adam Taylor's dad is also a firefighter, both of whom attended my wedding. So yeah duh-bunk-turds, the truth movement hates firefighters! Click on the below question to hear the truthful answer from Adam. 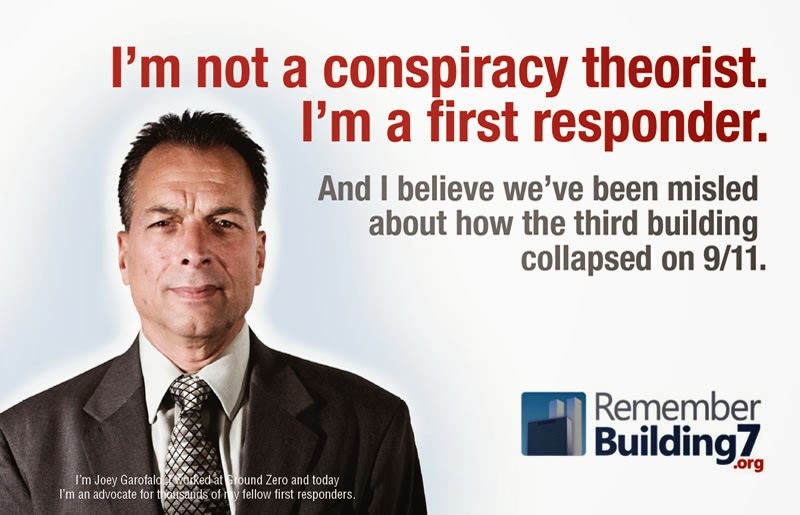 Haven't Other Buildings Collapsed from Fire? A great tragedy befell our community on September 11, 2001, an unprecedented 343 deaths in the line of duty. As horrible as that toll is, if there were a rational explanation for it, we could accept it and mourn. We all understood the risk we accepted when we took the oath of office, that chance might cut short our lives when we placed ourselves in harm’s way in the public’s service. This is what we are paid for and it is our honor. However, in short, the official explanation of the events of that day are not only insufficient, they are fantastic and cannot bear rational examination. We are asked to believe that on that day three structural steel buildings, which have never before in history collapsed because of fire, fell neatly into their basements at the speed of gravity, their concrete reduced to dust. We are asked to believe that jet fuel (kerosene) can melt steel. We are asked to believe that the most sophisticated air defense system in the world, that responded to sixty-eight emergencies in the year prior to 9-11 in less than twenty minutes allowed aircraft to wander about for up to an hour and a half. We are asked to believe that the steel and titanium components of an aircraft that supposedly hit the Pentagon “evaporated”. There is much, much more if anyone cares to look into it. Trade Tower #7 by itself is the “smoking gun”. Not hit by an aircraft, with only a few relatively small fires, it came down in a classic crimp and implosion, going straight into its basement, something only very precise demolition can accomplish, which takes days if not weeks to prepare. The 9-11 Commission didn’t even mention it, and F.E.M.A. actually stated they DIDN’T KNOW WHY IT COLLAPSED AND LEFT IT AT THAT. Brothers, I know that the implications of the above are hard, almost unthinkable, but the official explanation is utter nonsense, and three hundred and forty three murdered brothers are crying out for justice. 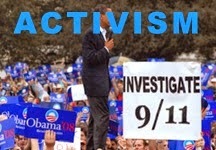 Demand a genuine investigation into the events of September 11! Five more FDNY members (four definitely there on 9/11) that have spoke out, but are not listed at FireFightersFor911Truth. Newly released video through a FOIA (Freedom of Information Act) lawsuit against NIST these FDNY firemen report secondary explosions inside the twin towers on the day of 9/11/01. NIST (National Institute for Standards & Technology), [the government agency who investigated 9/11 & didn't even test for explosives] would rather nobody ever saw this eyewitness testimony of explosions & the NY police & fire department as well as air traffic control personel have been gagged from talking about 9/11 under threats from the U.S. government. As more & more evidence is revealed it is very clear an independent investigation is long overdue!!! I was taking firefighters up in the elevator to the 24th floor to get in position to evacuate workers. On the last trip up a bomb went off. We think there were bombs set in the building. For more than a year, the Port Authority blocked the release of a tapeof firefighters' transmissions from the World Trade Center on 9-11.In November 2002, the tape was finally released to the New York Timesand other news outlets.Why did it take so long to get the tape released? I got, uh, an eyewitness who said there was an explosion on floors 7 and 8, 7, 8. Battalion 3 to Dispatch, we've just had another explosion. ... Warren Street, because of the secondary explosion. We've got numerous people covered with dust from the secondary explosion. We got another explosion on the Tower, 10-13, 10-13. Tower 2 has had a major explosion and what appears to be a complete collapse surrounding the entire area. Chief Palmer had reached the fire on the 78th floor of the South Tower and devised a plan to put it out. 9:52 a.m., 13 minutes before collapse. ... Ladder 15, we've got two isolated pockets of fire. We should be able to knock it down with two lines. Radio that, 78th floor numerous 10-45 Code Ones. If the 78th floor was a raging inferno like the government would have us believe, then Palmer wouldn't have gotten as far as he did and certainly wouldn't be able to put it out. 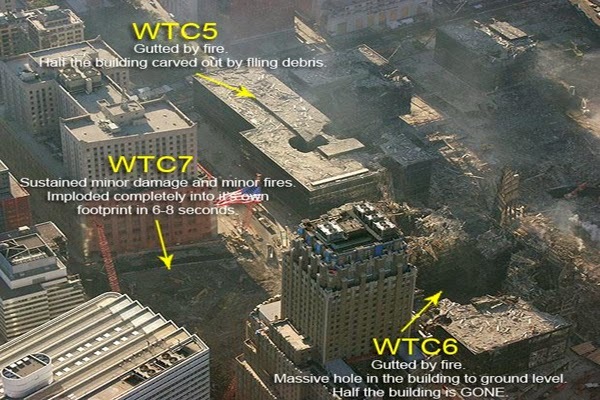 The accounts also contain numerous descriptions of advanced warnings that WTC 7 would collapse. 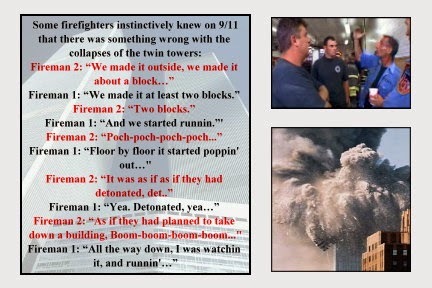 As will be apparent to anyone who reads through Appendix B, many members of the FDNY came to believe, in the period between 9/11 and their interviews, that they had been mistaken in interpreting what they perceived as evidence of explosions. Some suggest in their interviews that they now (as of the interview date) realize they witnessed non-explosive collapse, with the implication that they face the task of fitting what they or iginally perceived into the new framework. A few adopt the new framework readily; others do so reluctantly; and still others are unwilling to do so at all. I have not attempted in Appendix B to delete references to change of mind: on the contrary, I have included them because I find them fascinating and instructive. In some cases we can almost feel the struggle of the interviewee to accept the new interpretive frame. Thanks, and please consider sharing and even re-uploading, though we would appreciate it if you include the above text in the description. Erik Lawyer 2010 "Firehouse 911"
In San Leandro, California, on March 8, 2010, Architects & Engineers for 9/11 Truth, Firefighters for 9/11 Truth, and 911TV combined efforts to produce "Firefighters Architects & Engineers." The reality of 9/11 is rarely more poignant than when spoken by a firefighter. To them it is very real. 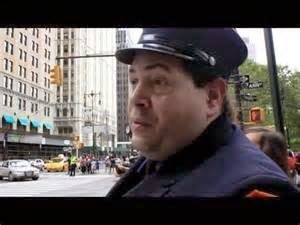 "Firehouse 911" - The 9/11 video BY Firefighters FOR Firefighters. Our goal at 911TV is to send this DVD to every Firehouse in America and have it shown on every Public Access Station in America! 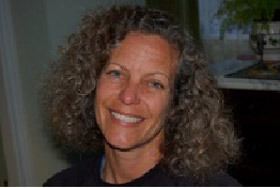 Laila Selk graduated from the College of San Mateo in 1984 with a Associate’s degree in Fire Science and received her Emergency Medical Technician degree that year as well. She was hired by the Palo Alto FD in September 1984 and retired in September 1996, having served 10 of those years on the line as a firefighter. She was a volunteer with the King’s Mountain Fire Brigade from 1982 – 1991 and now volunteers with AE911Truth’s verifications team. 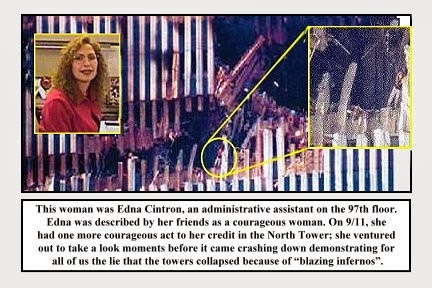 In this episode of 9/11 Free Fall she talks with Andy Steele about the 9/11 controlled demolition evidence from her perspective and the work that goes into verifying AE911Truth’s petition signers. 343 brave New York City Firefighters died on 9/11, this episode of Visibility 9/11 is dedicated to them! If you have not heard the name Erik Lawyer it is one to remember. Erik is a full time Firefighter and is a new shinning light in the 9/11 Truth Movement. He has been impressing all he meets with his simple message demanding a thorough criminal forensic investigation of the 9/11 World Trade Center catastrophe. He and his fire-fighting comrades want the authorities to do their job and carry out an investigation in accordance with fire scene investigation protocols, that he and all US fire fighters adhere to religiously. 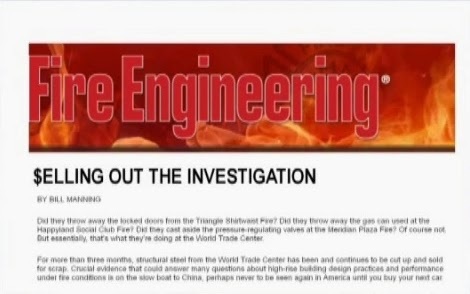 In this latest interview John and Erik talk about the future plans for Firefighters for 9/11 Truth and their achievements so far and we also talk about the strong bond being formed between Firefighters for 9/11 Truth and the highly successful Architects and Engineers for 9/11 Truth. 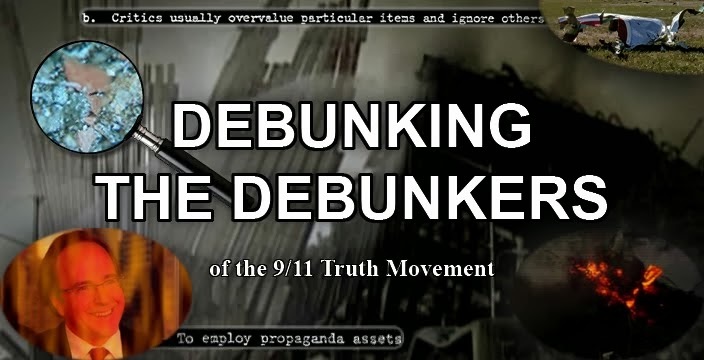 Soon an exciting new video is to be produced by both groups providing an even better and broader video resource for public education than the current 9/11 Blue Print for Truth; while still sticking to a careful non-conspiratorial fact based approach. Eric Lawyer, Founder of Firefighters for 9/11 Truth - Sounds of Explosions- How Much Do They Matter? 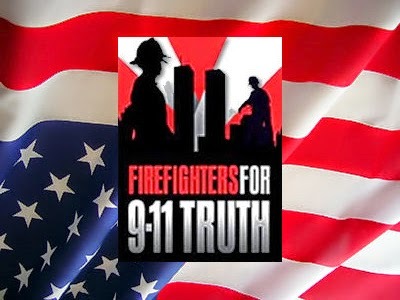 On Behalf of the People of the United States of America, the undersigned Firefighters for 9-11 Truth and affiliates are deeply troubled with the "official" story concerning 9/11 and the way the rescue workers from Ground Zero are being "forgotten". We believe there is overwhelming evidence of obstruction of justice, and destruction of evidence voiced even by numerous 9/11 Commissioners themselves. Senator Cleland resigned from the Commission stating, "This investigation is now compromised". NFPA (National Fire Protection Association) 921, which is the National Standard for Fire and Explosion Investigations, very clearly indicates in numerous sections that the possibility of explosives should have been thoroughly investigated. Specifically in NFPA 921 18.3.2 "High Order Damage" - "High-order damage is characterized by shattering of the structure, producing small, pulverized debris. Walls, roofs, and structural members are splintered or shattered, with the building completely demolished. Debris is thrown great distances, possibly hundreds of feet. High-order damage is the result of rapid rates of pressure rise." World Trade Centers 1, 2, and 7 all clearly met this definition; therefore they should have been thoroughly investigated and analyzed for explosives. Specifically, the use of "exotic accelerants" should have been investigated. In NFPA 921 19.2.4 "Exotic Accelerants," three indicators were clearly met that should have led to a thorough investigation into the possible use of "exotic accelerants," specifically as stated in the guideline, "Thermite mixtures." So, why was the possibility of explosives, controlled demolition, or the use of "exotic accelerants" not thoroughly investigated, or even mentioned in the 9-11 Commission Report? 1) A truly independent investigation with Subpoena and Contempt Powers to uncover the complete truth of the events related to 9/11/2001 - specifically the collapse of WTC Tower 7 and the possibility of explosive demolition. 2) The investigation to follow the National Standards so clearly outlined in the National Fire Protection Association guidelines, specifically, NFPA 921 to include thorough analysis of the steel for the presence of "exotic accelerants." 3) Congress to honor the promises made to the rescue workers of 9/11 by passing the James Zadroga 9/11 Health and Compensation Act of 2008. 4) Prosecution of all individuals willfully involved in the planning, and execution of the murders committed on September 11, 2001. 5) Prosecution of all individuals willfully involved in the Obstruction of Justice and Destruction of Evidence surrounding the events of September 11, 2001. Adam James, Kansas City, MO Fire Dept. Local 42 "Liberty will always overcome tyranny! The truth will set us free! The answer to 1984 is 1776!" "If these criminals are allowed to escape prosecution we are finished as a country." "Stop telling the nation what it wants to hear and tell it the cold heart truth. The country has the right to know and the families of the victims deserve to know what really happened to their loved ones." "If you have killed NYC's Bravest, there will be consequences. 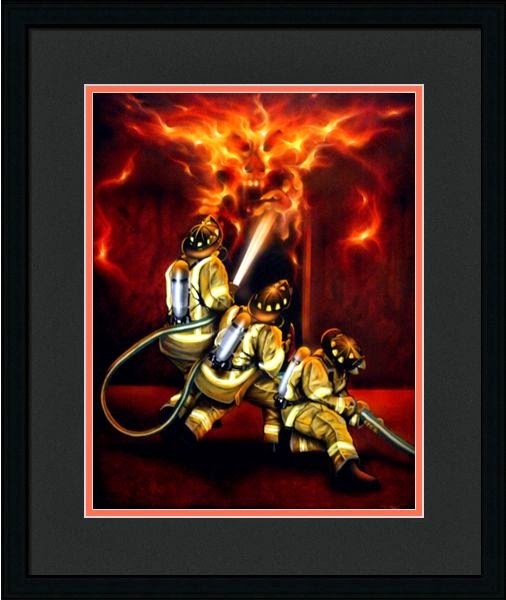 Firefighters are not disposable, nor to be used as pasties for political gain. The survivors continue to pay a heavy price, and should be supported in all ways. " "We need a new investigation. unusually/inexplicably high temperatures MONTHS after 9/11, high levels of 1,3 diphenylpropane post 9/11, unignited thermate indisputably found in the 9/11 dust, I could go on and on... "
"Only the truth will make a positive future for our children. 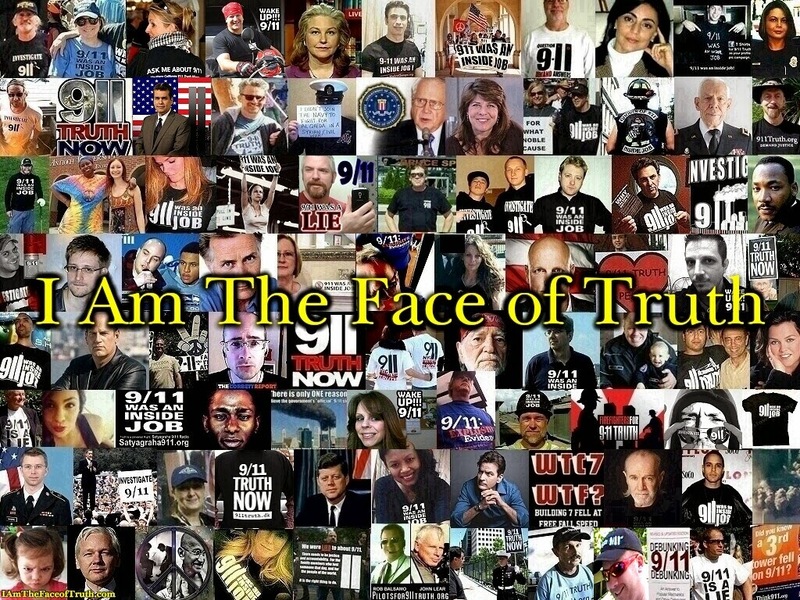 I've been a 9/11 truther for at least 5 - 6 years." "we're in deep trouble if we don't find out what really happened on 9-11"
"I hope you will accept my signature as I am a former firefighter with 8 years of service. Also see my Myspace www.myspace.com/ff_against_nwo"
"We need to look past the obvious and become Leaders vs. Lemmings"
"time to tell the truth about CIA involvement in false flag attacks against the People of the United States of America and fulfill your oath to Protect the Constitution against all Ememies Forign and Domestic." "Have patience informing others, this is a very sensitive topic, of an even that has happened to us all, be strong as we know we are." "We don't get stronger buildings or solve crimes by destroying evidence and refusing to test for causes...we need the truth now!" "...the "official investigation" blessed by FEMA and run by the American Society of Civil Engineers is a half-baked farce. --Bill Manning, Fire Engineering"
"I'm a retired career paramedic and fireman with 30 years of experience. I'm also an instructor and ex-chief officer. Even if EVERY other part of the official MYTH of 911 was true, I'd like to see National Geographic answer this one... OK so the towers collapsed due to failure at the site of the crash impacts due to weakening and fire... OK. How then did the collapse of the upper floors of the structure cause the utter disintegration and fracture of all the steel members BELOW the fire which were COLD SOLID MASSIVE STEEL? Heat travels UP doncha know. please drop me an e mail Erik peace d ps my handle is 344thBrother in memory of the MURDERED fallen brothers of that day. " "I agree this by lack of investigation a inside job"
"9/11 may have been the beginning of the end for this country. We need an accounting. " "Thanks so much to bring this to light. The more I here of this type of thing the more it seems to be true. GOOD WORK..."
"See the Mayday...Mayday...Mayday posting for info about me." Frank Dunnington Capt. P23 Kansas City, MO Fire Dept. "There is more behind this story than the public is being told. I wasn't working that day but went to the site many times afterwards; I know many guys who have respiratory illnesses due to what happened at the WTC on 9/11. L35." Gerald Tucker, Cityof Newport R.I.
"Any firefighter who believes the official story is completely ignoring his or her training and experience. These buildings could only collapse in that manor as a result of a controlled demolition." "The silent voices of all 9/11 firefighters murdered on that day demand justice from those still alive. Would you ignore a cry from a fellow firefighter for help in a burning building?" "I believe the official story of the 911 collapses defy the laws of science and nature!" "We need to make this an issue this November. Engineers, Architects and Firefighters know what they are talking about and command the respect of the general population. " "Take the red pill, investigate wtc 7, watch "the creature from jekyll island" & norman dodd on tax exempt foundations(both by g. edward griffin), aaron russo: reflections and warnings (all on youtube) and wake up to see who is really running this country! GOD BLESS OUR FALLEN BROTHERS AND THE VICTIMS OF 911!" "Let's stop hiding behind this phony 'patriotism', and open our eyes. The truth is out there!" "I saw the dust and smelled the sulfur. There is no way that was a natural collapse." Joe Allegra, Crash Fire Rescue, MCAS Miramar, San Diego CA. "We need to know the truth"
"I joined the U.S. Navy just before Sept. 11 happened, I served on board the USS. Eneterprise Cvn-65, I am now a member of my towns VOl. Fire Dept. I would love to see who ever was responsible for this pay the consiqences. Isnt this why we went to war Isnt this what thousands of my Armed services brothers and sister gave there lives for to catch the bastards responsible." "I'm underwhelmed by the government's complete lack of response to Firefighters' concerns. Please reconsider your position." "The lack of investigations, the perfect collapses, etc... it's a dead give away. 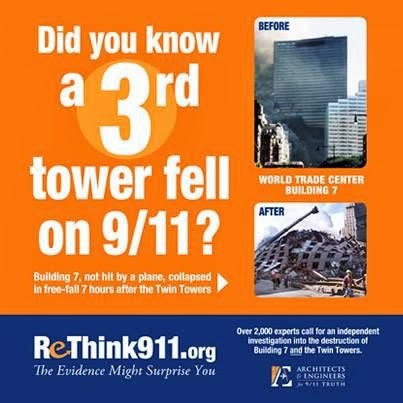 I watched these buildings drop on TV that morning and minute one knew something was fishy. I'm surprised so many still don't believe it was an inside job." "Keep on talking about 9/11. " "Anyone can gather enough info for themselves to determine that the NIST report is deeply flawed. Anyone who watched the news on 9-11 heard the sounds of explosions. You can pull up video of this on YouTube for the love of God. Yet they didn't even test for explosive residue? This petition simply calls for a more thorough investigation. Sign it!" "Keep Hammering the Government Screws.....The Truth MUST be EXPOSED !" "We have earned the right to know the TRUTH!" "20 year member of the John Birch Society"
"Our government is a sorry crock. To think we elect you people. Time to overthrow our leaders it seems to me." "Keep fighting the good fight. "Truth is treason in the empire of lies." --Ron Paul"
"As a former volunteer firefighter, I believe that we cannot legally and morally ignore the overwhelming testimony about and evidence of exotic accelerants at the WTC." "it's a sorry state of affairs when somebody feels they have to protect terrorists rather than the memories and the families of the brave 343 who gave their lives in the Line of Duty. " "I totally support an investigation...we havent heard the truth. Why?" "I am signing in memory of my late brother and great friend firefighter Eddy Blameuser "
"I can can land a 172 at 65knts"
"The truth can only make us stronger...not weaker." "Never before in history has a steel-framed scyscraper "collapsed" due to fire and/or structural damage. On September 11, 2001 three such buildings disintegrated at free-fall speed. Something is definitely wrong with this picture. " "We need a new investigation!!!!!" "I was on stand-by as remote controlled large frame aircraft were crash landed at Edwards AFB." Timothy Finnegan, Retired from Weehawken, N.J.
"Two good sources for information are the film the reflecting pool and Webster Tarpley's book Synthetic terror.One tells the story the other trys to fill in the blanks." "Keep up the good work! I hope to attend the 5/8/2010 event in San Leandro CA"
"The given explanations of this tragic day anger me beyond belief, do they think we don't know any better?!"